Thanks to our Salutatorian Sponsor! 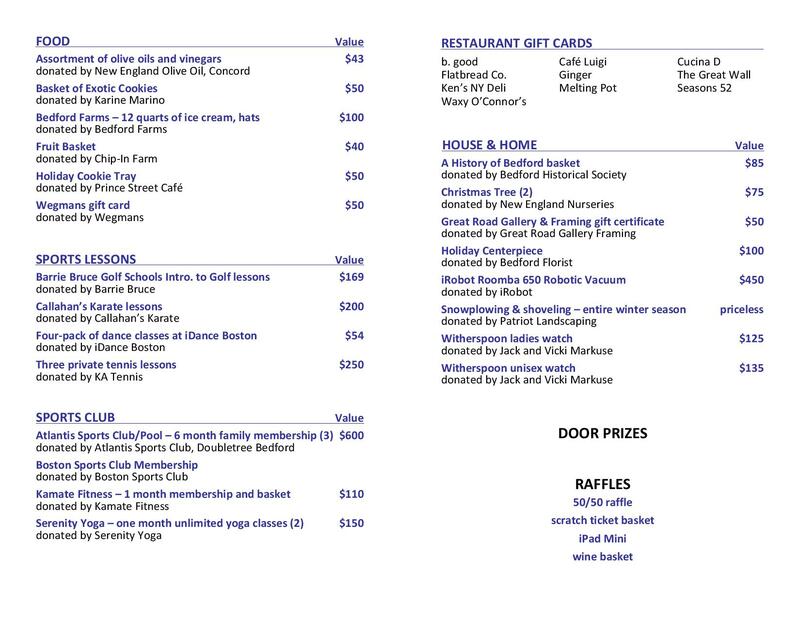 We can’t believe the Bash is tomorrow…Thank you Brookline Bank, our Salutatorian Sponsor. We couldn’t have done it without you. Exciting news for this year’s BEF Bash Strikes Back! By popular demand, the incomparable Shannon Dillon of Creative Images Boston will once again be in attendance taking sure-to-be-unforgettable 80’s photos! We thank Shannon for donating her time and energy for the second year in a row to support innovation and creativity in Bedford’s schools! Click here to see some of Shannon’s photos from last year’s Back to the 80’s BEF Bash! 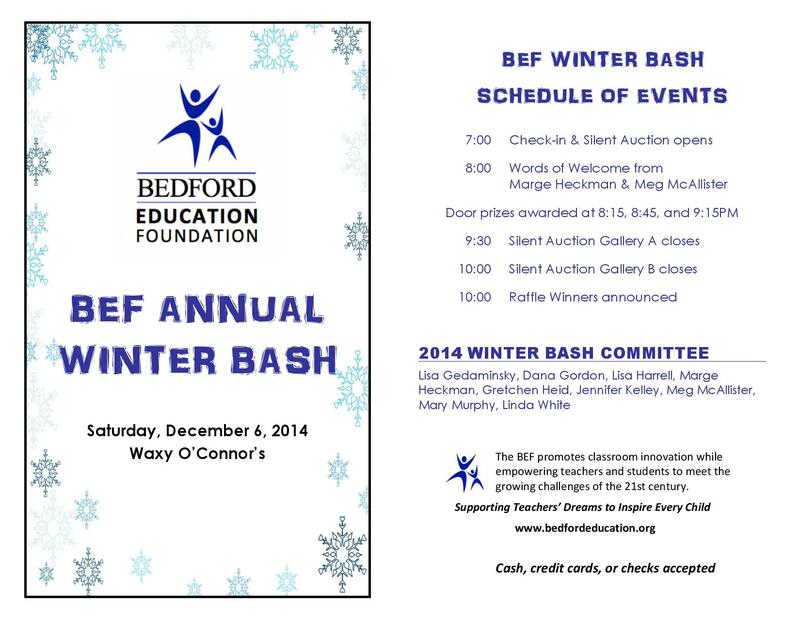 We are very excited to share all of the amazing items and services we have for Saturday night’s BEF Winter Bash! Thank you to all of our volunteers and donors! 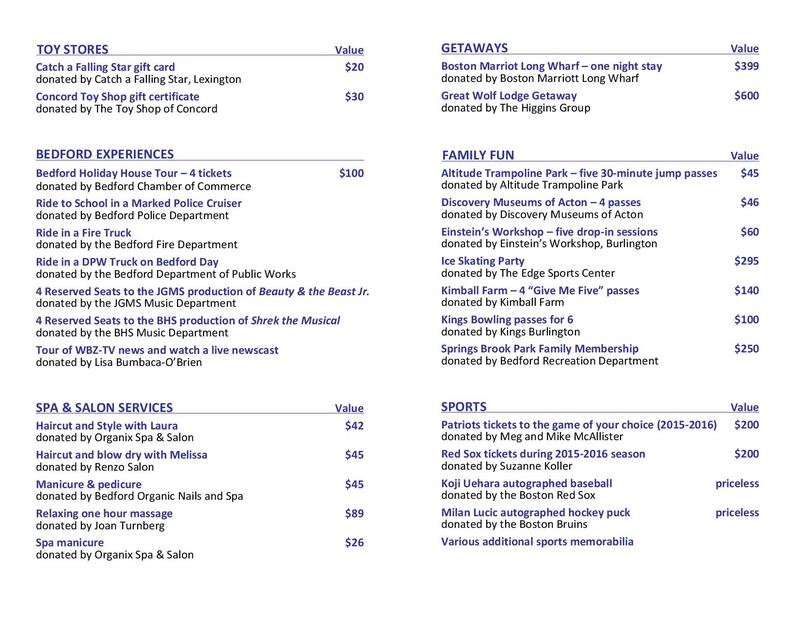 The Bedford Education Foundation would like to thank our generous donors for their contributions to the Winter Bash. Thank you to Progress Software! Progress Software funded a grant for 16 Skype cameras to be used in second and third grade classrooms at Davis and Lane Schools. The cameras will enhance typical curriculum goals in Social Studies. Developing partnerships between second and third grade classrooms. Each second grade class at Davis will be partnered with a third grade class at Lane. This will help ease the second graders transition to Lane as well as increase the third graders’ leadership skills and self-esteem, as they mentor their second grade partners. Thank you to the Bedford community who supported the Barnes & Noble Book Fair sponsored by the BEF, BHSPA, MSPA and BEST on December 13th & 14th. We also thank the many performers from our schools who made the Book Fair so special — the Grade 2 readers, BEF BHS Board members who worked with the Grade 2 students, Davis School Principal Nancy Peterson and Lane School Principal Rob Ackerman who held Story Time, Katherine Parker who directed the Lane Student Chorus and the Combined Davis and Lane Teachers & Staff Chorus, the Bedford High School String Quartet and Santa Bob.